*Note: we highly recommend using a cast iron skillet but this can also be done with a slow cooker. Cook time will increase to 6-8 hours. 1. Place olive oil, hot sauce, lime juice and spices in cast iron skillet over medium heat on stove. 2. 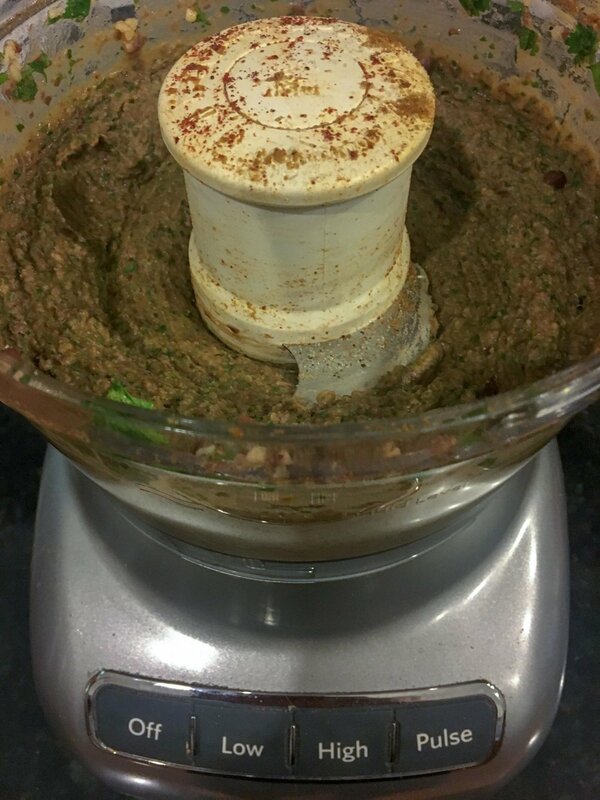 Allow mixture to heat up for 1-2 minutes. 3. Chop chicken into small strips or chunks and place in sauce. 4. Bring to a simmer (not a boil) and allow to cook for 1-2 hours, covered, or until the sauce is sufficiently reduced. 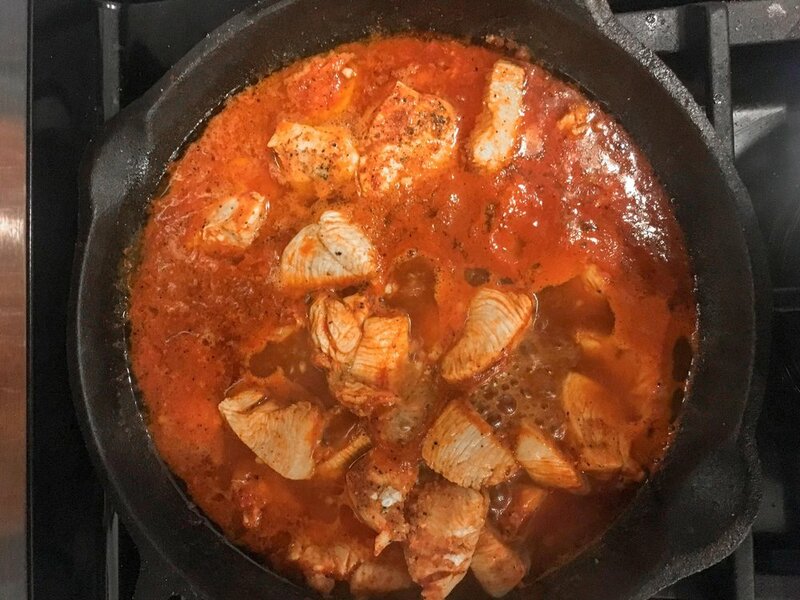 The chicken will be safe to consume after ~30 minutes (or when chicken reaches 160 degrees), but the longer you let the chicken simmer and the sauce reduce, the better it will taste. Do not forget to stir every 10-15 minutes. 5. Cook bacon to preferred doneness by preferred method. 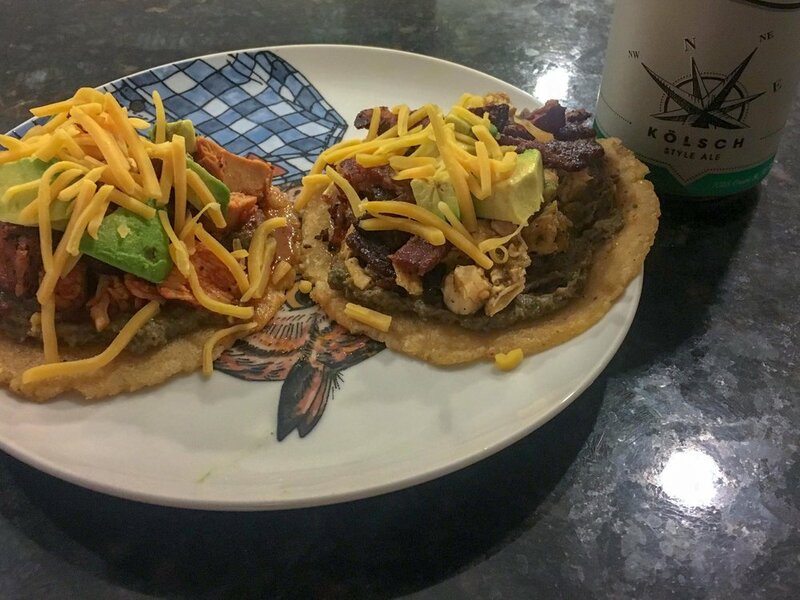 We used a cast iron skillet for this as well. If you’d like to continue working on the other components, baking it on a foil lined cookie sheet for 10-20 mins at 400 degrees is a wonderful alternative method. 6. 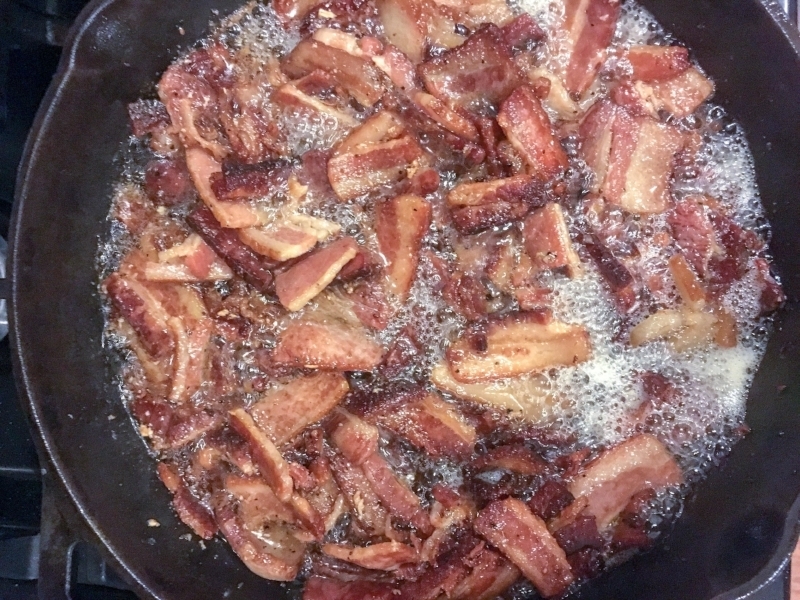 Cut or crumble bacon into small pieces for a taco topper. 1. Drain and rinse black beans in a strainer under cool water. 3. Process on high for 1-2 mins. until desired smoothness texture is obtained. 4. Taste mixture and add additional spices if needed. 1. Place Pam Cornmeal Mix, spices and water into a large mixing bowl. 2. Knead mixture until you have a slightly sticky, yet firm dough (not so dry that it crumbles, not so wet that it sticks to everything). If the mixture is too dry, add water. If it is too wet, add cornmeal. 3. Separate dough into small ping pong sized balls. 4. Place plastic wrap on both sides of a tortilla press and spray with olive oil or place balls between oiled plastic wrap and use a rolling pin to flatten. 5. Place skillet over medium heat and spray with oil (note: you can also add butter if you’d like). 6. Place balls of dough in the press and apply pressure or using rolling pin. 7. 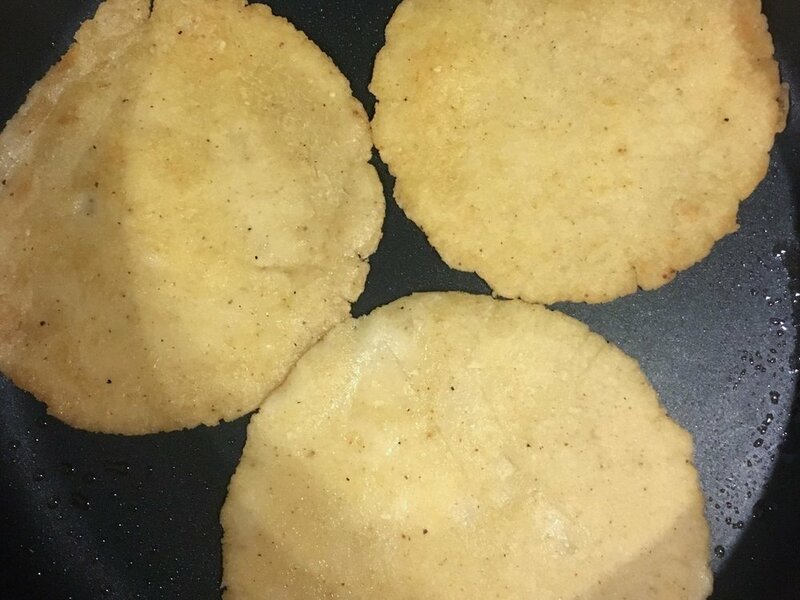 Place flattened tortilla in skillet and cook for approximately 90 seconds per side, or until tortilla is golden brown. - The fresher ingredients, the better this dish will taste. If possible, use fresh vegetables, spices and locally sourced meat. For the purposes of this particular recipe, a mixture of fresh items and store bought were used to lower the prep time and difficulty… not all of us are foodies or have time to make our own salsa. Adapt any of these recipes to your skill and time level. - Heat can be increased during the cooking process by the addition of various peppers or Pulp Hot Sauce.